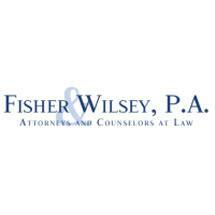 Located in St. Petersburg, Florida our law firm, Fisher & Wilsey has provided the St. Petersburg, Clearwater and Tampa Bay area with experienced legal representation for more than 40 years. Our attorneys, George, David, and Steven Wilsey have handled a wide range of legal cases within estate and probate law, business law, litigation, bankruptcy and real estate law. George Wilsey is a fellow of the American College of Estate and Trust Counsel and is board-certified as an estate planning specialist by the Florida Bar in wills, trusts and estates. Steven Wilsey is a CPA and attorney, and together with George Wilsey, has co-authored Probate Litigation for the Florida Bar Manual. David Wilsey has experience serving on the Florida Bar's Fee Arbitration Committee, regarding resolving fee disputes between clients and their attorneys. As estate plan and probate attorneys we have helped a multitude of individuals and their loved ones in cases involving complicated estate tax planning, Medicaid, and probate litigation. We have represented individuals who required a will or trust to be drawn in order to protect or preserve wealth either for themselves or for their loved ones. In the event that an individual does not have a will, the state will commence a probate process to determine the asset distribution, including property, investments and all other asset under the deceased individual's name. This is often a lengthy legal process that is costly. In order to ensure that assets are correctly accounted for, drafting an estate plan through an experienced estate plan law firm becomes necessary. As real estate law attorneys, we have represented hundreds of individuals and businesses in various commercial and residential real estate cases, title insurance, title disputes, closings and foreclosures. With our multifaceted knowledge of the law and experience in law, the attorneys at Fisher & Wilsey are dedicated to their clients and are here to help.